I am seeking 25 participants for qualitative interviews:. “Do you have in-house Project Managers? If you outsource PM could you give me some references? Can you help me? Is there a group of Project Managers in your company that would want to help?” At this point it would involve answering 12 interview questions; about 1 hour of their time. Is there a spot where I can post this to your readers? Marc, Thanks for your comment. The best place I know to post info and recruit for research studies such as yours is LinkedIn groups. There are dozens of project management groups that have large following. The process of project management starts with the first step of conception where brainstorming and weighing of options takes place. The second step is about planning and designing of the project and its essentials. Then the third step of execution of decided ideas and after that, the assignment of the tasks for the same purpose follows. Then, follows the fourth step of controlling of the various project activities. After that, the last step of evaluation and closure follows. This step, as the name suggests, means the evaluation of all the activities that took place and the closure of the project after the delivery to the client. A project manager is required to possess certain skills to reach the organizational goals and be efficient and effective at the same time. 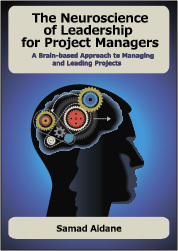 The major quality required for a project manager is leadership. Leaders can get the best out of people by setting an example of walking the talk. A leader has to be ambitious as it is one adjective that defines the others which are a part of the term, such as, hard work, determination, and unconditional desire to achieve. Also, it helps generate the energy that makes people follow the leader. They should have a good attitude and should be in touch with their people.